Three years ago, when Rogan’s Books first opened its doors, most people thought I was crazy. In a world of Amazon and supermarket half-price deals, who on earth would open a bricks and mortar bookshop? And a CHILDREN’S bookshop, at that? And it’s been a tough slog. Believe me when I say that you do NOT go into bookselling for the money. 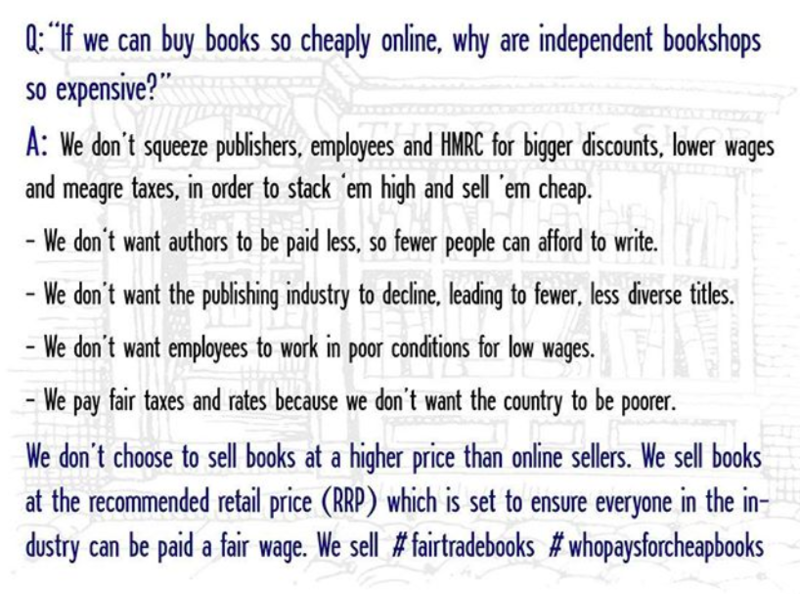 In 2013 Britain had fewer than 1000 independent bookshops for the first time since records began. The collapse of the net book agreement* gave birth to Amazon, and allowed discounting in large supermarket chains, both of which took a huge chunk of the book business, and by 2009, 500 independent bookshops had closed. Yet Christmas 2018 saw Rogan’s Books’ best ever trading figures. This in comparison to the large chains, who reported the worst Christmas for 10 years. Experts claim that it is our necessarily lean setup that allows independent businesses to be nimble, reacting quickly to the changing needs and demands of our customers, and this may well be true. But in my experience, greater credit must go to the customers themselves. The once small movement of conscientious consumption has spread in recent years. There is a growing awareness that in order to sell cheap goods, there is a price to be paid somewhere along the chain. Whether at the expense of those involved in production, or the environment, or the economy, someone, somewhere, is paying for cheap goods. In 1992 the Fairtrade Foundation was established, as coffee drinkers began to understand that the very farmers providing their beans were not being paid a living wage. As awareness grows, we have begun to recognise that where there are cheap, discounted products, there is usually a victim. Unsurprisingly, that victim is never the global corporation offering those heavy price cuts. As a bookseller I regularly attend industry events and hear from everyone involved in the process. The constant price pressures from large online retailers have led to cuts across the board, with some authors earning as little as 2p from the sale of their book. By comparison, Jeff Bezos (Amazon CEO) was recently declared the richest man in living history, and his company reached $1 trillion market value. How long will this continue? If recent reports are to be believed, there is a tide change in motion. Ethical consumerism is on the increase, through ‘positive buying’ or ‘moral boycotting’, the strongest example of this being the change in attitudes towards Amazon. Its tax avoidance tactics, and the poor pay and working conditions of their workforce, have led many to eschew their deep discounts in favour of local businesses, who offer a personalised service and contribute to the local economy. As one of these local businesses, our experience certainly confirms the theory. Our excitement over a new release from Harper Collins translated to the creation of our virtual bookclub. 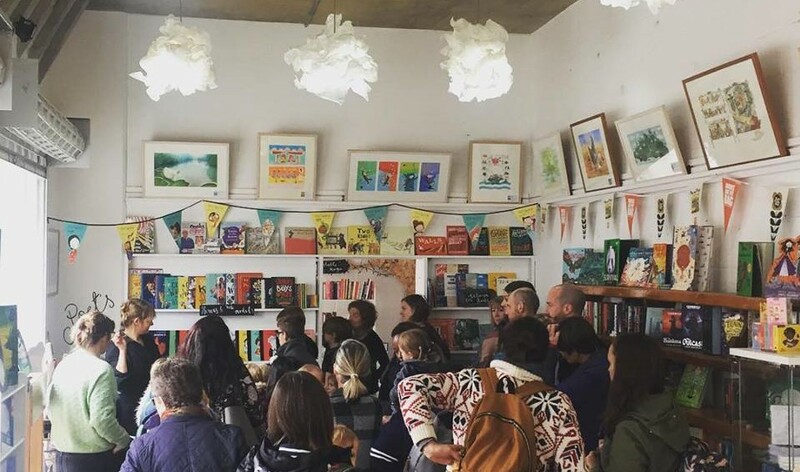 Despite being an online service, it has resulted in a 150% increase in sales compared to last year, as readers flock to enjoy the shared experience of a recommendation, supported by a visit from the author herself to the shop, coinciding with the opening of our adult book section, which reflects the growing need for a dedicated adult section. 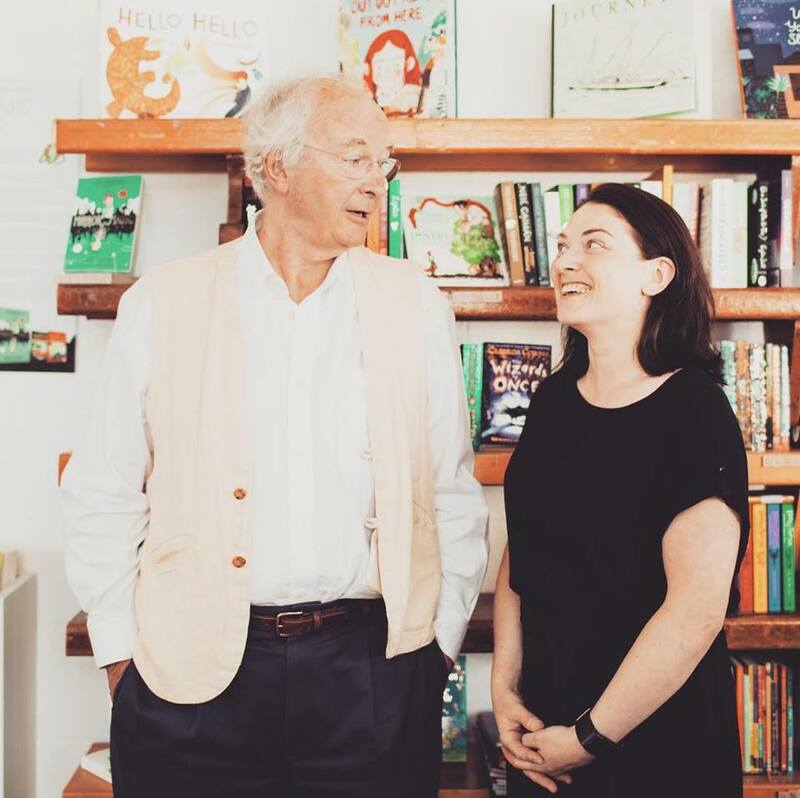 Rachael and Philip Pullman at one of the local many events she organises. 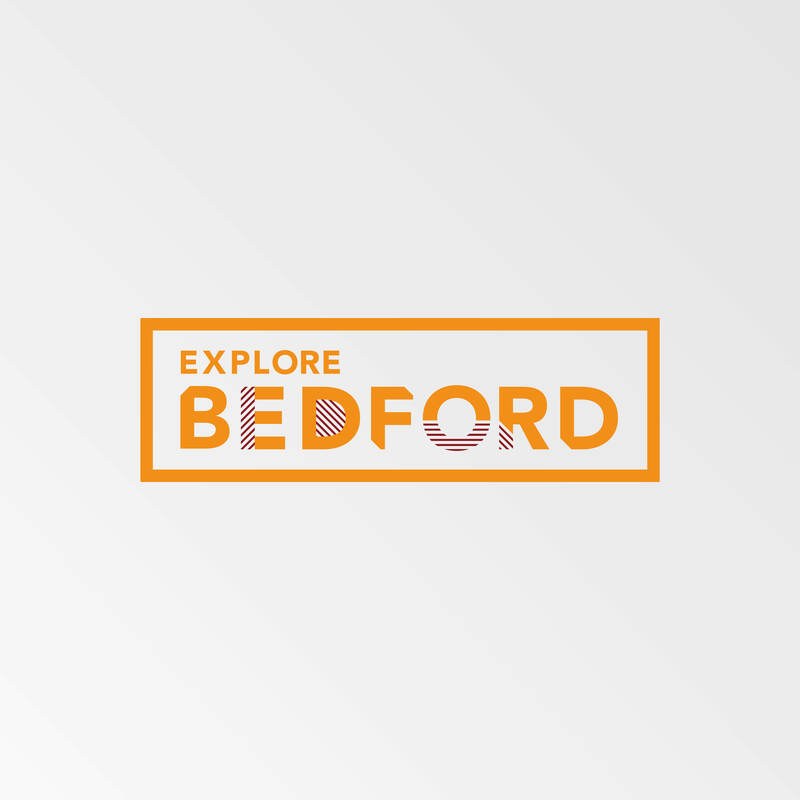 As an independent retailer, close bound to our community, we are able to offer the types of experiences, sharing discoveries, building communities and meeting authors which the behemoths like Amazon can’t. It is these experiences that we believe our customers value and it seems, by choosing to shop with us, rather than searching for the cheapest prices, that they agree. We’re very lucky to have them, we hope they feel the same.